Many large cities are struggling with severe housing issues, and one new startup is proposing an architectural solution. 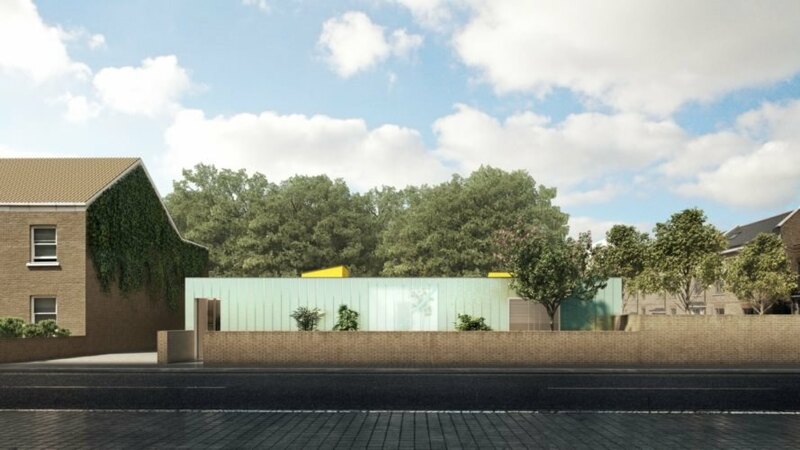 Developer Cube Haus – founded by Philip Bueno de Mesquita and Paul Tully – has commissioned four architects to design affordable, modular houses that can be configured to fit into empty urban areas of varying sizes. Working with different designers and architects, Cube Haus aims provide affordable housing in urban areas such as London. The architects’ proposals include a number of styles and designs, but all of the houses are based on a modular construction model, which enables them to adapt to the square footage limits of each site. 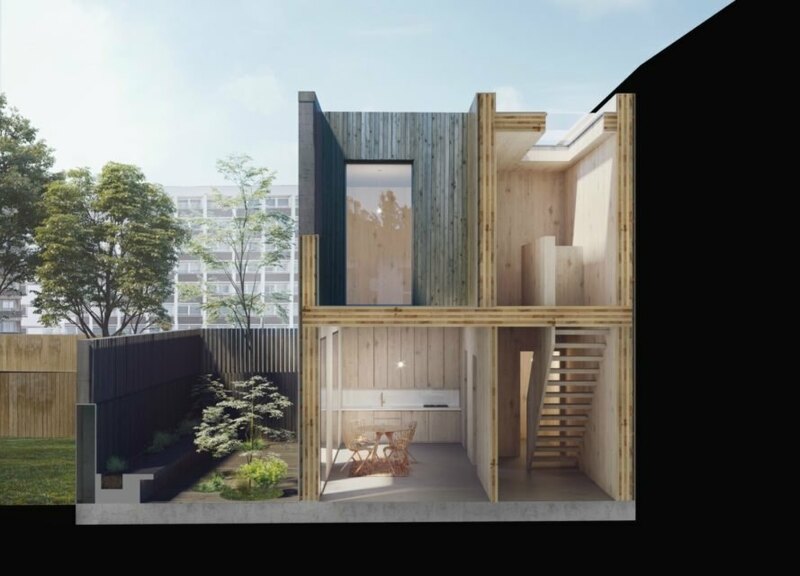 International architecture firm Adjaye Associates submitted a beautiful multi-story timber structure that can be adapted to fit on a typical London terrace. The interior has an open floor plan that offers the ultimate in flexibility, and a large patio area provides natural light. The structure could be built as high as adjacent buildings to blend in with the existing architecture. 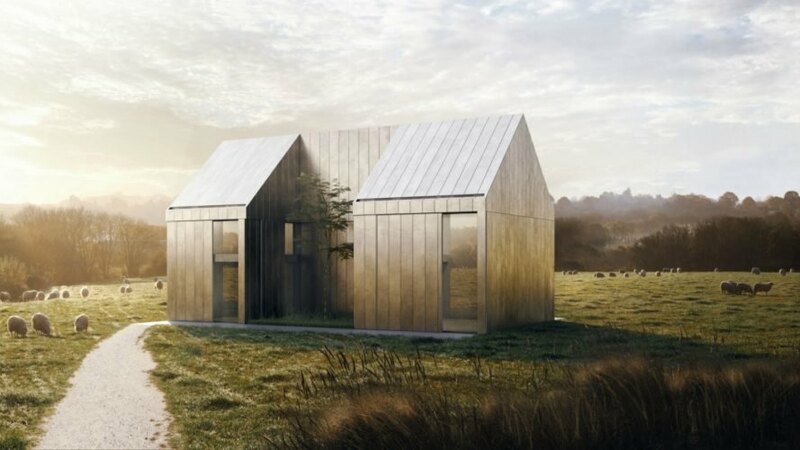 London-based designer Faye Toogood‘s concept envisions a simple single-unit volume with dual-pitched roofs, clad either in galvanized steel or charred timber. 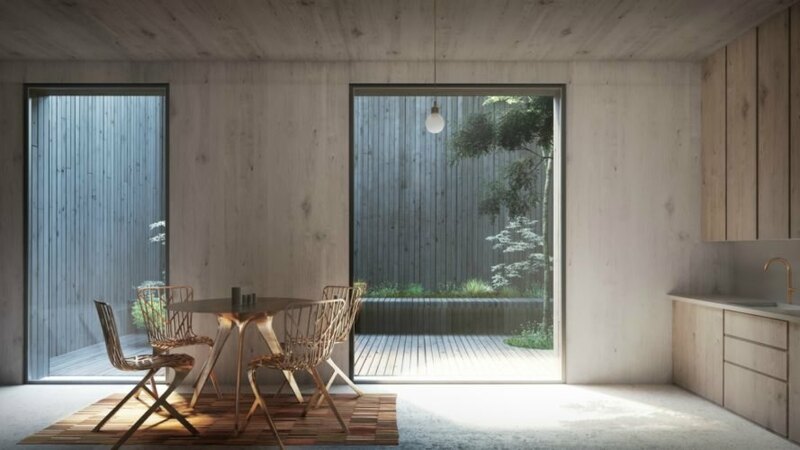 A light wood interior with an open floor plan would be illuminated with natural light thanks to large vertical windows. London firm Carl Turner Architects submitted two designs for the project. The first is a one-story, extended bungalow with bright yellow skylights that flood the interior space with natural light. The second design is a two-story townhouse, clad in brick and timber and topped with two separate pitched roofs that face two different directions. An open-air terrace between the roofs can serve as a rooftop garden or social space. 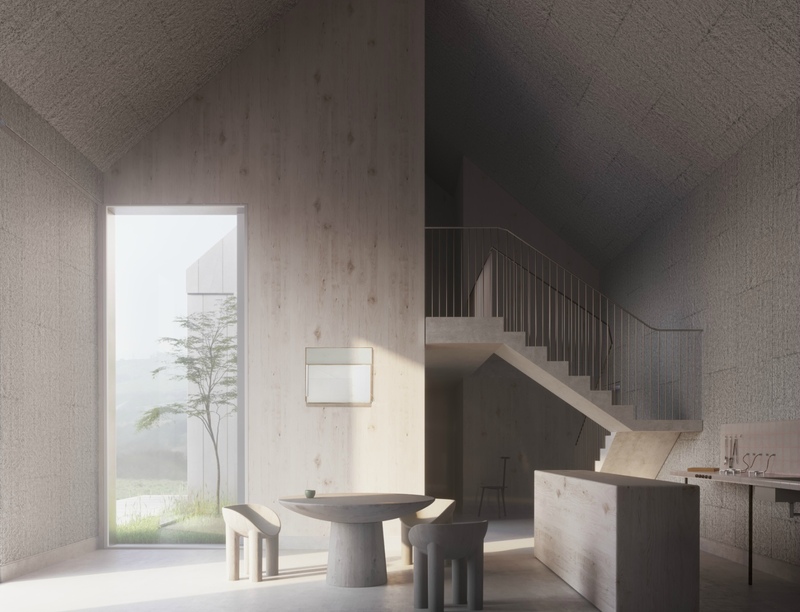 Lastly, Skene Catling de la Peña‘s proposal includes a stone-clad home with a timber interior. At the heart of the interior design is a vertical, green-tiled chimney with a cast-iron fireplace. The Cube Haus project is committed to using these five innovative prototypes to create a portfolio of varied building types that can be scaled to size for larger, multi-family spaces or single-unit use. 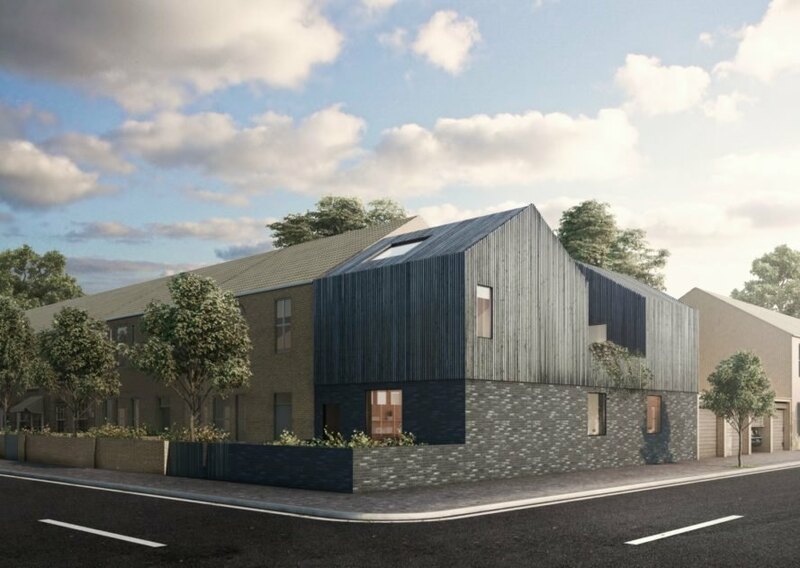 All of the buildings will be constructed with cross-laminated timber with components manufactured off-site in the UK. Most large cities are currently struggling with severe housing issues, and one new startup is aiming to provide a feasible architectural solution. Cube Haus, the brainchild of Philip Bueno de Mesquita and Paul Tully, has commissioned four architects to design prototypes of affordable and modular structures that can be configured to fit into empty urban areas of varying sizes. 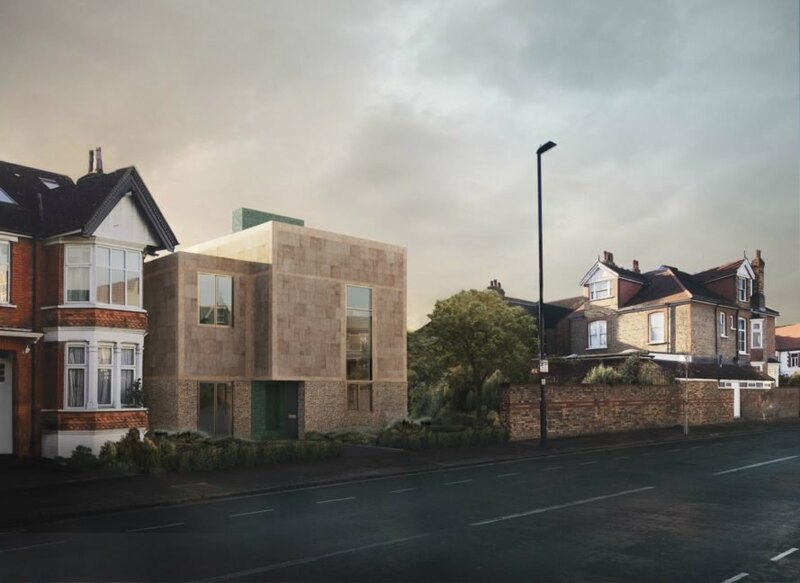 Working with different designers and architects, the team at Cube Haus aims to deliver an innovative approach to providing affordable housing in urban areas such as London. 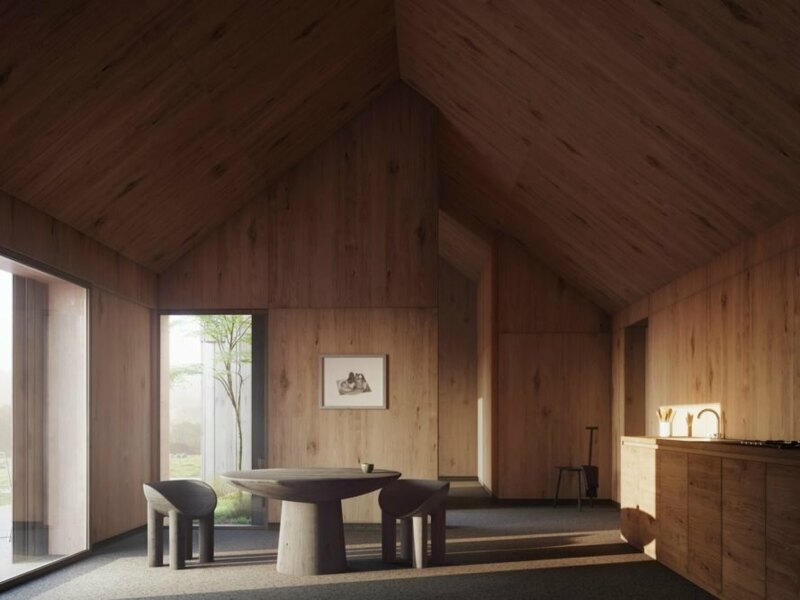 In a design from Faye Toogood, for example, large vertical windows would illuminate a timber interior with natural light. 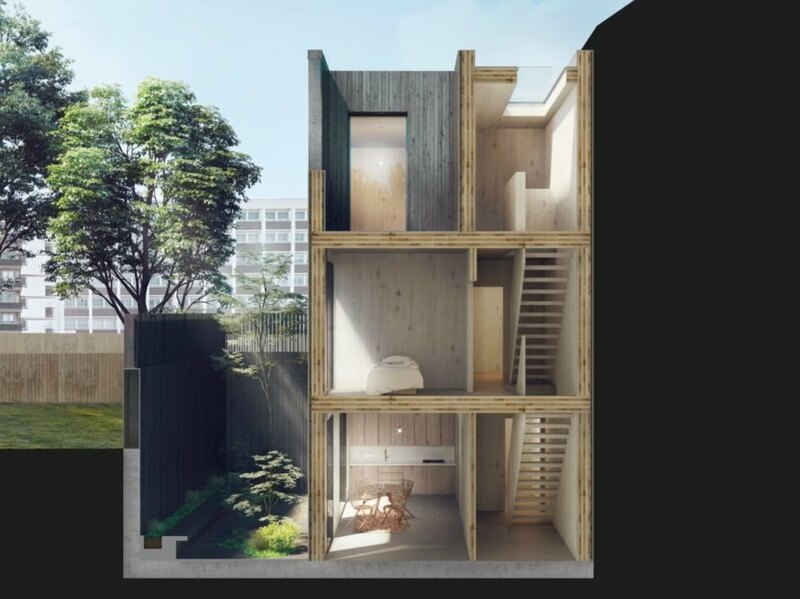 International firm Adjaye Associates submitted a beautiful multi-story timber structure that can be adapted to fit on a typical London terrace. The interior has an open floor plan, with a large patio area that provides natural light. Toogood's concept envisions a simple single-unit volume with dual-pitched roofs, clad either in galvanized steel or charred timber. Faye Toogood's concept is a single-unit home. London firm Carl Turner Architects submitted two designs for the project. The first concept is a one-story, extended bungalow with bright yellow skylights that flood the interior space with natural light. Carl Turner's second submission for Cube Haus. The second design is a two-story townhouse, clad in brick and timber and topped with two separate pitched roofs. Skene Catling de la Peña's proposal includes a stone-clad home with a timber interior. 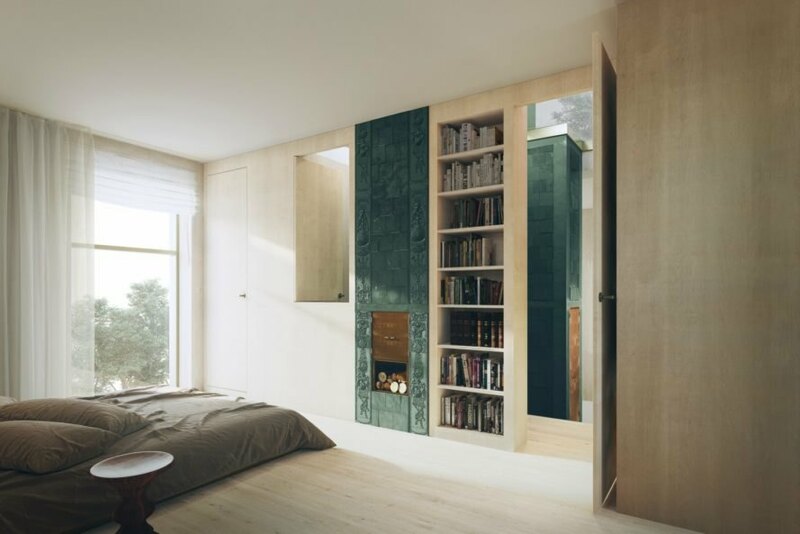 At the heart of the interior design is a vertical, green-tiled chimney. The chimney has a cast-iron fireplace. Cube Haus intends to use the prototypes as the basis for a portfolio of different building types. The homes would be clad either in galvanised steel or charred timber. Faye Toogood's concept for Cube Haus.